Do not, whatever you do, walk down Steenstraat while hungry. It is lined with chocolate shops, unashamedly attempting to part Bruges' tourist masses from their money. 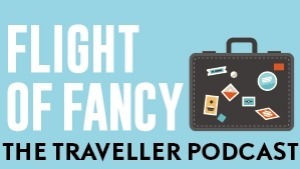 Thing is, almost all of them are really, really good, selling sumptuous pralines, melt-in-the-mouth giandujas and thoroughly moreish speckled truffles. 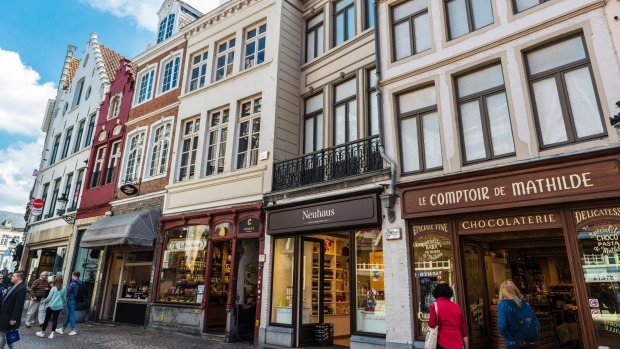 Belgian chocolates have a reputation for extremely high quality, and a Steenstraat scoffing stroll does nothing to dispel it. But the key to why standards are so high is unveiled at Choco-Story, a museum housed in a 16th-century building, formerly a tavern and now devoted to the magical brown stuff. The tale, of course, doesn't start in Belgium. "Chocolate" comes from the Mesoamerican Nahuatl language, where the mixture of cocoa and water was called "cacahuatl". There's evidence that this drink has been around since at least 2000BC, with various Mesoamerican civilisations using it in sacrifice rituals, as well as a currency and luxury drink reserved for those with higher status. The latter continued after the Spanish conquistadors were introduced to the drink. They brought it home in 1528, and for decades it was essentially kept a secret by the Spanish royal court. 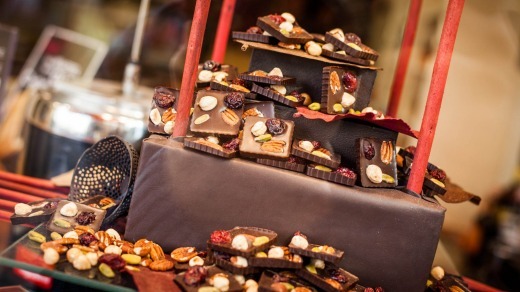 But by 1580, a shop selling it had opened, and the floodgates began to open, as chocolate crossed the Pyrenees and the Dutch started smuggling their own supply out of South America. At this point, though, it is still a drink. It's not until Dutchman C. J. Van Houten managed to separate the cocoa butter from the powder, and mould it, that chocolate became something to eat. 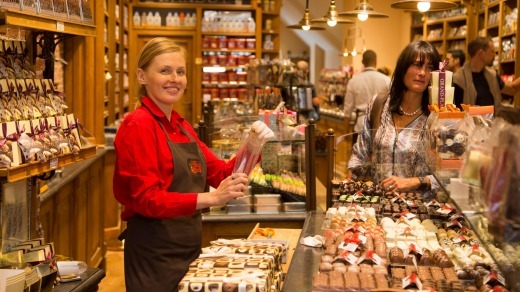 Choco-Story runs through the timeline of innovations to the present day, showing a pan-European effort with introductions from English, Italian and Swiss chocolatiers, up to Jean Neuhaus' invention of the Belgian praline in 1912. It also goes into today's chocolate industry, which is a truly global affair. Somewhat surprisingly, 33 per cent of the world's cocoa is now grown in Cote d'Ivoire. But another 14 per cent comes from Indonesia. 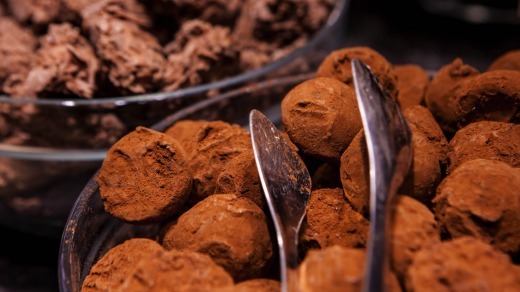 Similar to wine-making, there's an element of terroir and provenance to how chocolate tastes. But how long it is roasted for, and at what temperature, counts too. As does the beans selected – not all are suitable. There are other variables too, as the in-house chocolate-maker explains inside the demonstration area. Hard plastic polycarbonate moulds need to be room temperature and shiny on the inside; melting at 45 to 50 degrees is followed by tempering – which controls the crystals inside the cocoa butter to ensure the right colour and texture – at around 30 degrees. But much of the end product depends on the ingredients going in. Different percentages of cocoa paste, sugar, cocoa butter and powdered milk go into creating dark, milk and white chocolate. 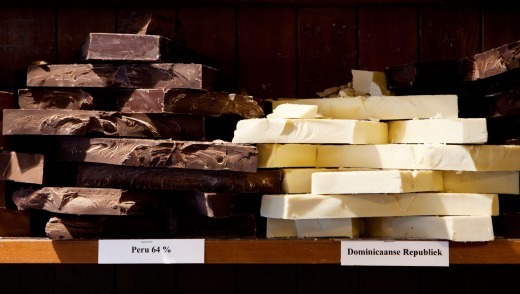 Here, the milk chocolate is only 10 per cent cocoa paste, and the dark variety is 67.5 per cent. It's what doesn't go in it that counts, though. As the samples doled out melt beautifully on the tongue, the simple secret behind Belgian chocolate's quality is revealed. To be labelled as Belgian chocolate, no vegetable oil or palm oil is allowed to replace the cocoa butter. Elsewhere, these oils, which melt at about 60 degrees rather than body temperature, are used as a cheap alternative. So if you don't want to get fobbed off with the inferior stuff on that amble down Steenstraat, the fewer ingredients listed on the box, the better. David Whitley travelled at his own expense.